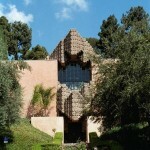 Tour Descriptions – Architecture Tours L.A.
Tours offered daily usually at 9:30AM and 1:30PM. Includes some of the oldest architecture and some of the newest; various micro-neighborhoods of the historic core, Civic Center and Broadway Theaters, Little Tokyo, Victorian homes, Arts District, Disney Hall by Gehry, MOCA, new Cathedral, Cal Trans Headquarters, Broad Museum, recent conversions and restorations and more. 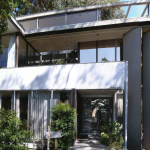 Includes many mid-century modern homes designed by Richard Neutra, Rudolf Schindler, John Lautner, Gregory Ain, Lloyd Wright, Jr., and other architects; vintage and contemporary. 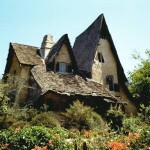 Sowden House, 1926 Lloyd Wright, Jr.
Includes homes by Frank Lloyd Wright, Lloyd Wright, Jr., Hollywood sign and Hollywoodland, English Tudor, French Chateaux, Spanish Style, historic Hollywood Boulevard theaters and restoration sites from the 1920s and much more. 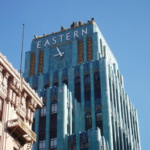 Includes Classical mansions and Craftsman homes; large variety of Art Deco shops, theaters, former department stores; Museum Row, quirky eye-catching oddities and much more. 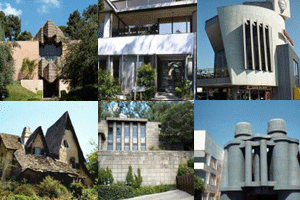 Includes early work by Frank Gehry, Rudolf Schindler; sites by Frank Lloyd Wright, Lloyd Wright,Jr., Richard Meier, R.M. Schindler and I.M. 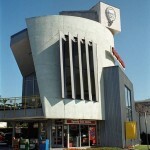 Pei, the Sunset Strip, Postmodern Deconstructivist buildings, homes of Beverly Hills and much more. 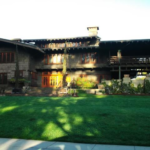 Includes a large variety of Craftsman homes designed by Greene & Greene, Heineman Brothers, Myron Hunt and others, Victorian homes, Civic Center, Cal Tech, Old Town shops, many traditional style mansions, hotels and more. 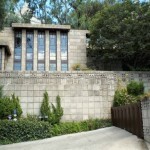 Focusing specifically on the work of Frank Lloyd Wright and Frank Lloyd Wright, Jr. Includes Hollyhock House, Ennis House, Lloyd Wright, Jr. home and more. 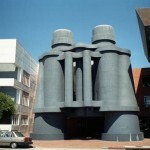 Customized architecture tours are also available.